This model is 5' 10" and wears a size S. Their chest measures 32" and the waist 25". 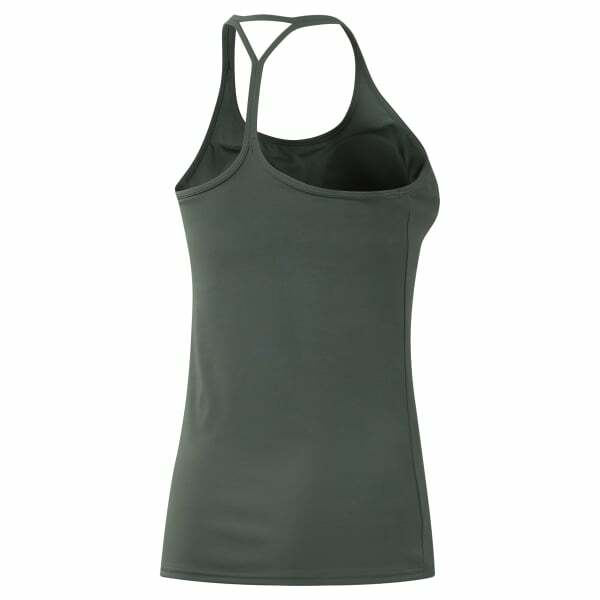 Wear this women's long bra tank to your workout for support and style. Removable pads provide modesty and support while the graphic reps you as a member of the elite LES MILLS team. A racerback silhouette allows arm mobility for lifts, push-ups and studio moves.